To-Do lists are pretty effective for managing your time and keeping organized — so is it any wonder the most prolific inventor in the world would make a habit of keeping them? This week in our ongoing series looking at diary entries from famous people and historical events we look at a page from a notebook that inventor Thomas Edison began writing in in 1888. 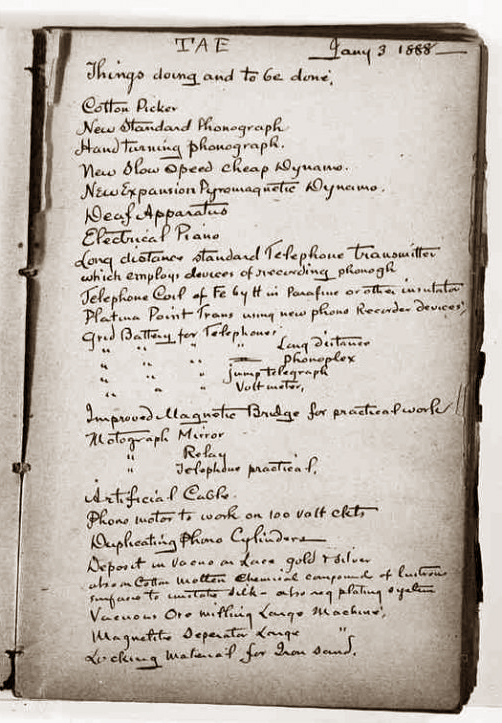 Entitled “Private Idea Book”, Edison used it to record his invention ideas. The notebook served a dual purpose of insuring he had a record for any instance where he would have to defend an invention’s origin in court. 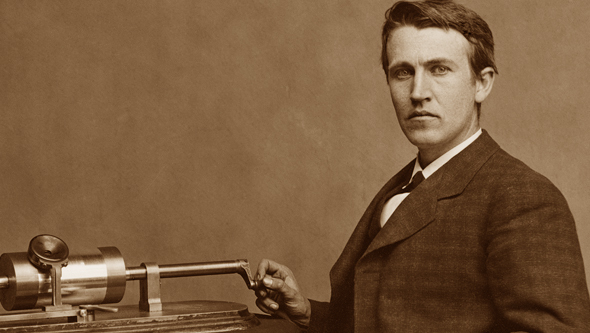 It’s a fascinating look at Edison’s seemingly endless flow or ideas and projects. Is it any wonder this man eventually held 1,093 U.S. patents (a record sum at the time)? The first half of the page is excerpted below. The other five pages and many more great Edison artifacts can be found at the Thomas A Edison Paper Project on the Rutgers University website. HOW DID EDISON AND THE OTHERS ORGANIZE THEIR THOUGHTS? WHAT FORMATS DID THEY USE, LIKE? BULLETS, OUTLINE, STORY, PROBLEMS THEY EXPERIENCED OR MONEY-MAKERS…ART ETC… A GREAT IDEA FOR GREAT THINKERS!!!! It looks like Edison was fond of point form to-do lists, though he doesn’t appear to be using bullets. Charles Darwin kept similar lists of books he would like to read and Oscar Wilde kept a guided journal! 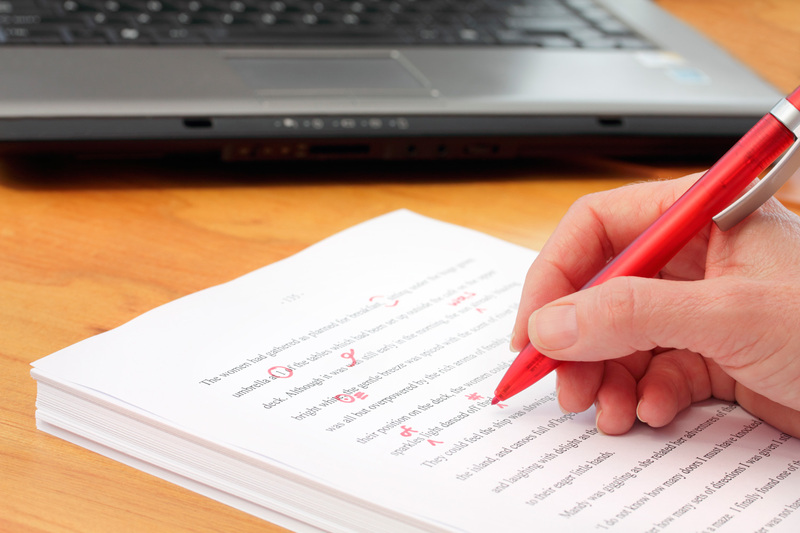 What types of journals do you keep?